A United Nations emergency fund on Thursday released $15 million to urgently scale up humanitarian assistance to people affected by escalating inter-communal violence in Ethiopia. Historical tensions between communities in southern Ethiopia escalated during April, leading to loss of life, widespread property damage and large-scale displacements, says the UN in a press release. “Nearly one million people are displaced and require urgent help, especially during this rainy season,” said Secretary-General António Guterres, noting that releasing money from the UN’s Central Emergency Response Fund (CERF) is one of the fastest ways to ensure aid reaches those who need it the most. Those one million people, including children, often find shelter with relatives who are struggling themselves to secure enough food, or living in overcrowded public buildings, without adequate food and water, and with substandard sanitation and hygiene facilities. Under the leadership of Prime Minister Abiy Ahmed, new measures to bring unity and reconciliation have spurred great enthusiasm within the country and the enthusiastic support of the international community, Guterres said. “However, the impact of inter-communal tensions presents a challenge for the new leadership. It is critical to act immediately,” he said. CERF’s allocation will enable humanitarian partners to scale up life-saving assistance in support of the Government-led response. More than 36,600 people will receive urgent nutrition assistance; some 600,000 people will be supported with water, sanitation and hygiene service; around 71,200 households will receive non-food item kits and 175,000 people will benefit from extra healthcare services. This year’s Ethiopia Humanitarian and Disaster Relief Plan requires $1.6 billion to reach millions of people with food and non-food support. 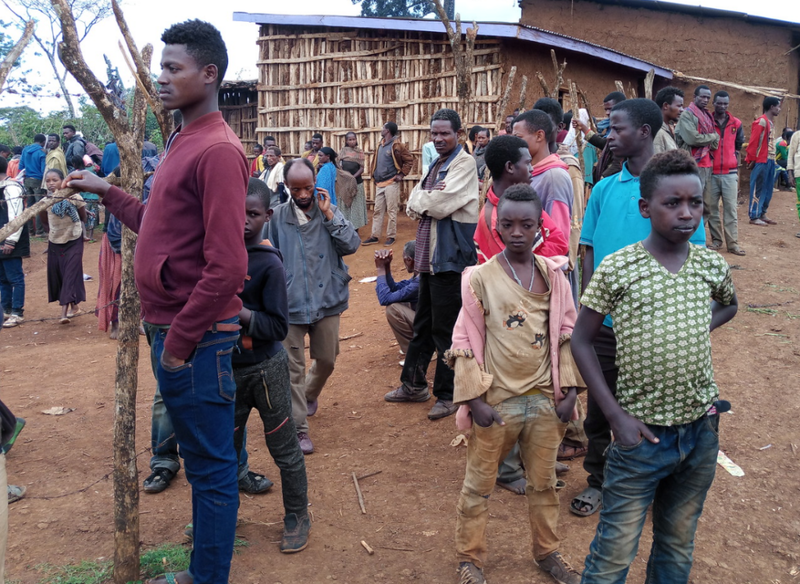 In late June, the Government of Ethiopia and humanitarian partners launched a joint Response Plan requesting an additional $117.7 million for the coming six months to deliver immediate life-saving help for those affected by the inter-communal violence in the border of Gedeo and West Guji zones in the country’s south. Established by the General Assembly in 2005 as a global fund ‘by all, for all,’ CERF has assisted hundreds of millions of people with more than $5 billion across 100 countries and territories. Posted by Khalid Al Mouahidi on July 13, 2018. Filed under Zoom. You can follow any responses to this entry through the RSS 2.0. Both comments and pings are currently closed.